Garrett and I road-tripped down to San Diego today, so that I could buy a bicycle I spotted on Craigslist – the world contains few other provocations that could motivate such a long drive. Lunchtime afternoon in San Diego, we detoured off the freeway to avoid a spot of traffic into downtown, and soon noticed Rolando’s Taco Shop. Located near Woodbury’s SD architecture school, we deduced that this must be a place where architecture students eat. The excellent plexiglas sign fitted into the window compelled us. The downtown neighborhood was quiet on this President’s Day afternoon. We each ordered the plate of “5 mini tacos” for $5.99 each. We navigated the serveuse’s instructions – requesting that guacamole be skipped, and onions and cilantro only be provided. Instructed to choose only two meats per plate, I went with three carne asadas and two carne adobadas. Garrett chose carne asada and carnitas. They weren’t that miniature after all – four would have sufficed. They were nearly as big as the average taco. 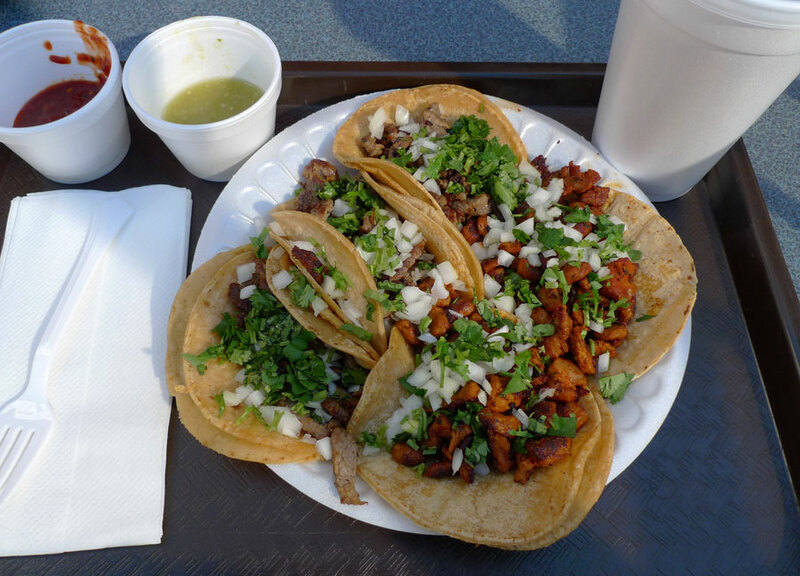 It made me wonder what the non-mini tacos at Rolando’s look like. Tortillas were doubled, but not laminated, and fried to a mild leatheriness, unusually yellowy and corny. I liked them. The meat was also very tasty. The carne asada had a nice meaty flavor and was altogether right. The carne adobada was red and savory, and tasted like fried goodness, with some bits charred to a crispy blackness, but in a good way. I tried a bite of the carnitas, and found it fried and crispy. The green salsa from the salsa bar was a bit bland, but the rojo salsa was hot, thick, and with a deep red color. A fine meal! 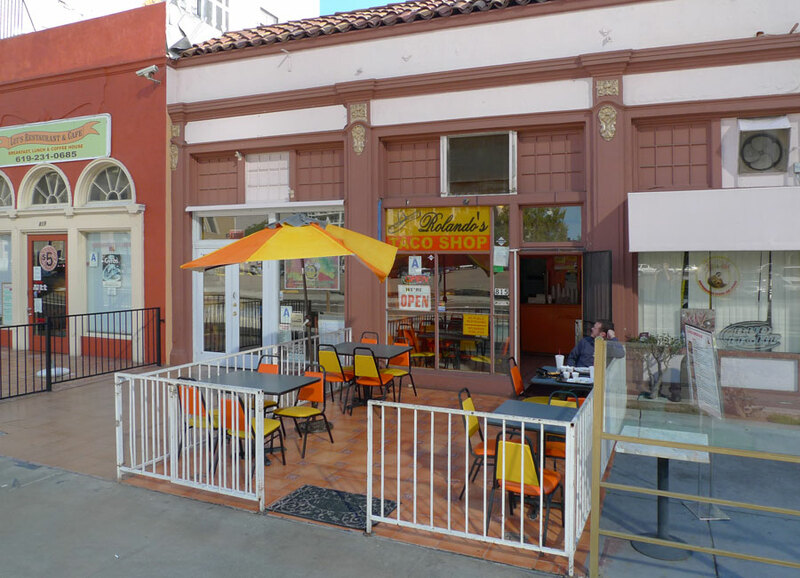 This entry receives an “X-tacos” designation, because it’s not a Los Angeles-area taco shop, and thus not part of the AB0907 “Cincuenta Taquerías” project per se. Garrett suggested that such outliers should be given an “X” designation, cf. http://en.wikipedia.org/wiki/X-plane_(aircraft).